André Pinto Rebouças was a Brazilian engineer and abolitionist, best known for creating one of the world’s first self-propelled torpedoes during the Paraguayan War. Rebouças was born on January 13, 1838 in Cachoeira, Brazil. 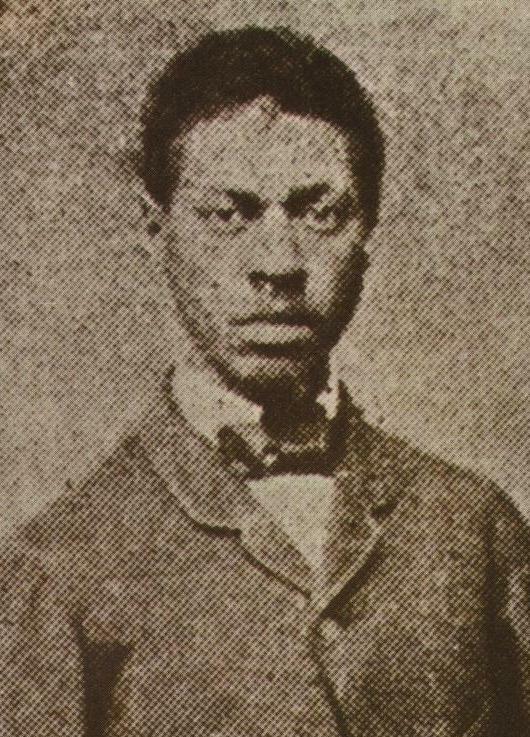 The son of Antônio Pereira Rebouças, a prominent lawyer and politician and an unidentified black woman, André received a fine education. He completed his general studies at the prestigious Military School in Rio de Janeiro in 1857 before moving on to higher education at the Escola de Aplicação da Praia Vermelha (Military School of Praia Vermelha). There, he earned a degree in physical sciences and mathematics, graduating in 1859 and being named military engineer in 1860. In 1861, Rebouças traveled with his brother Antônio to Europe to study civil engineering, where they took an interest in the construction of ports and railroads. They returned to Brazil after being denied scholarships on the basis of their race. Upon returning, the Brazilian government put Rebouças to work installing and improving the empire’s coastal properties, wanted in anticipation of hostilities with Uruguay and Paraguay. When war broke out in 1864, Rebouças was sent to serve as an engineer in the Paraguayan War. It was during this campaign, on which he served from 1864 to 1866, that Rebouças developed a self-propelled torpedo, one of the first of its kind worldwide. While the torpedo had existed conceptually for many years, all those which had been put into to practice up until then were stationary or manually propelled, and more closely resembled modern-day mines. While documentation is limited, Rebouças’s self-propelled torpedo appears to slightly predate the more famous model developed by English inventor Robert Whitehead. Returning from the military in 1866, Rebouças was made director of the Rio de Janeiro Customs Dock Company. In this capacity, he helped to build many new ports and railways within Brazil. In 1870, his creation of a water storage system saved lives during a drought. In 1874, Rebouças and his brother designed the first bridge in Brazil to be made of reinforced concrete. In the 1880’s, now a lecturer at the Polytechnic School of Rio de Janeiro, Rebouças emerged as one of Brazil’s most influential abolitionists. Though he had owned slaves in his youth, by this time Rebouças opposed it on both moral and economic grounds. He created several abolitionist organizations, communicated with leading abolitionist Joaquim Nabuco, and argued not only for emancipation but for the redistribution of land to former slaves. Slavery would be abolished in Brazil in 1888. Rebouças, a close friend of Brazilian emperor Pedro II, followed the imperial family into exile following a coup in 1889. For several years, he worked as a correspondent for London newspaper The Times while living in Lisbon, Portugal. Plagued by financial difficulties and health problems, Rebouças died on May 9, 1898 when he jumped from a cliff in Funchal, Portugal. Lúcia Gaspar, “André Rebouças,” Joaquim Nabuco Foundation, http://basilio.fundaj.gov.br/pesquisaescolar_en/index.php?option=com_content&id=912 (December 9, 2004); Ana Carolina, Fabio Kuczkowski, & Natanael Greco-Ferlizi, The Train Ride Thru Serra Do Mar. (Curitiba, Brazil: Lulu Authors, 2014); Leo Spitzer, Lives in Between: Assimilation and Marginality in Austria, Brazil, and West Africa 1780-1945. (Cambridge, United Kingdom: Cambridge University Press, 1989).